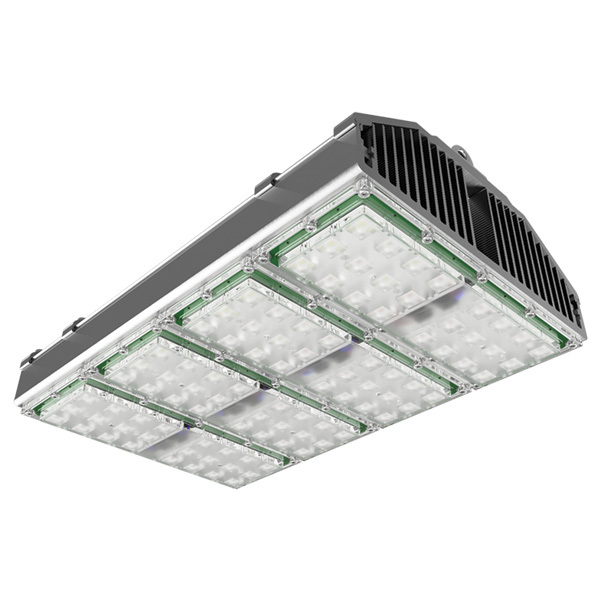 All hydroponic growing depends on good, reliable lighting systems. 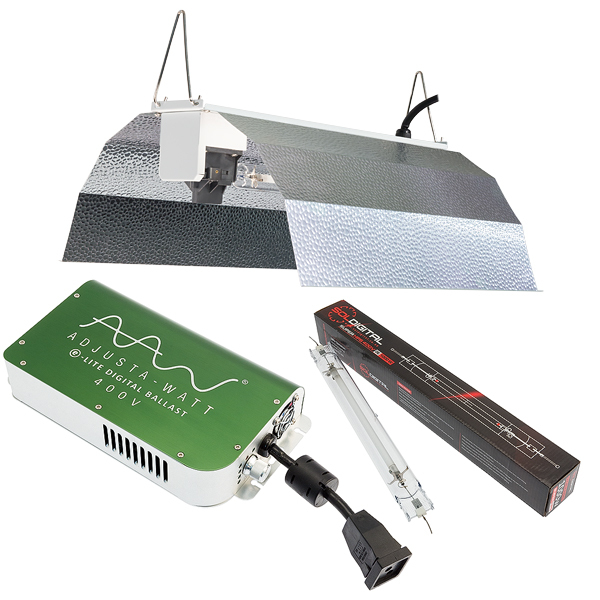 Progrow offers one of the widest selections of Hydroponic lighting kits online. 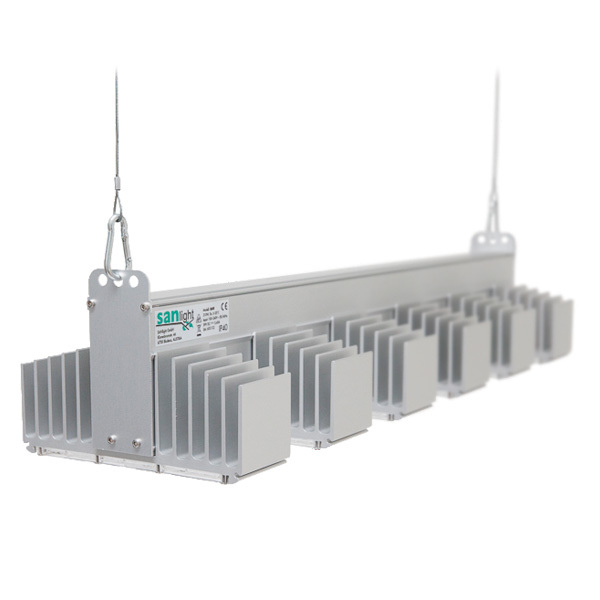 Supplied with traditional Magnetic or Electronic ballast with a choice of market leading reflectors and lamps. 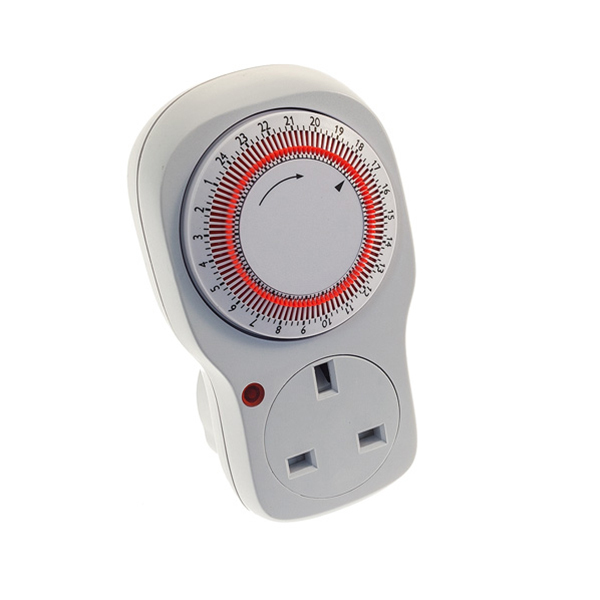 While also offering more innovative lighting solutions such as LED’S from Heliospectra and Gavitas excellent lighting systems with sophisticated controllers such as the Gavita Master Controller. 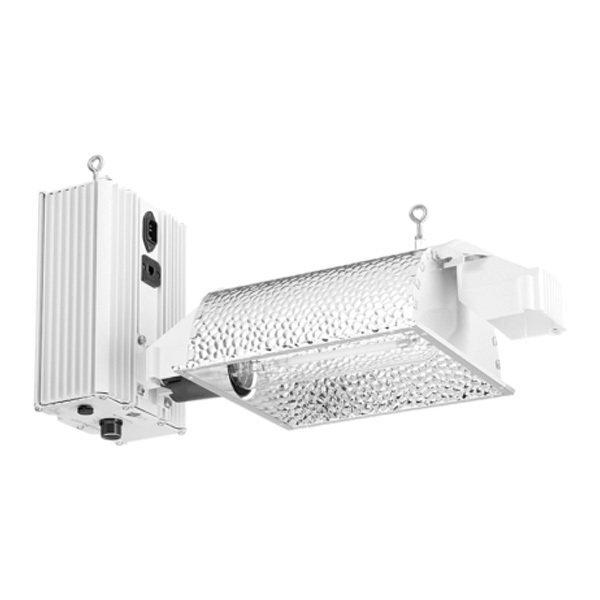 As a fundamental piece of equipment in your grow room Progrow believe in supplying quality Lighting products even at the cheaper end of the price bracket. 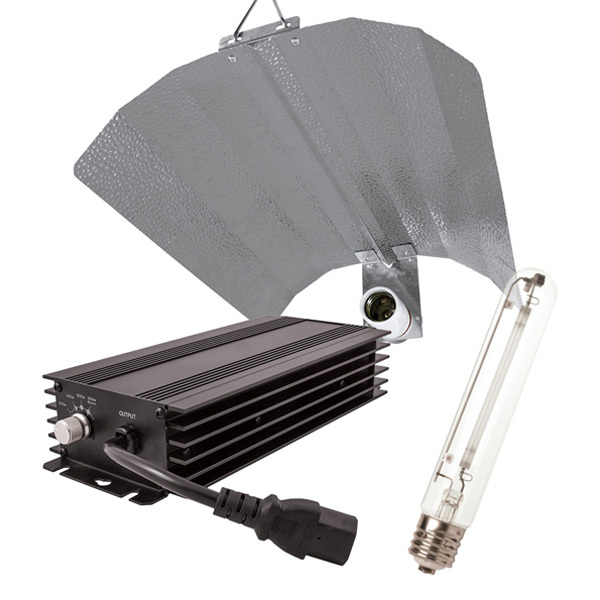 Our lighting section contains all the lighting systems you will need to grow from a few seedlings or cuttings in a small propagator to huge industrial applications with multiple 1000w lighting units. 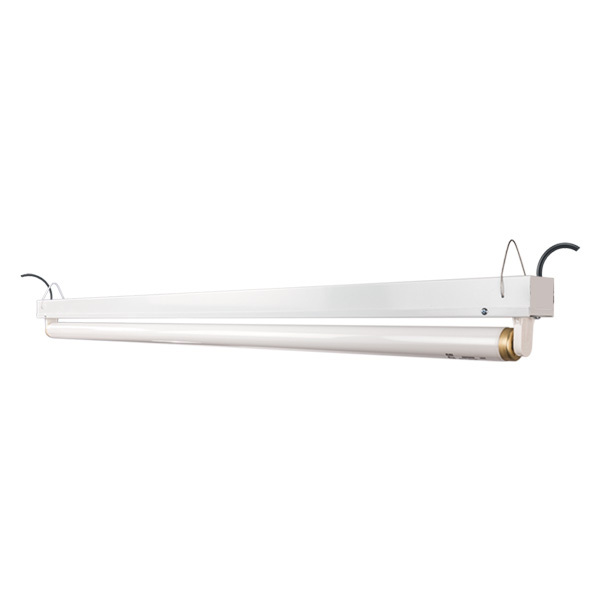 Most indoor growing will start with a Fluorescent or LED lighting system, we supply the ever popular Compact fluorescent (CFL) lamps with purpose made reflector, single 2 ft and 4 ft fluorescent lighting units and the excellent high powered T5 Fluorescent units. 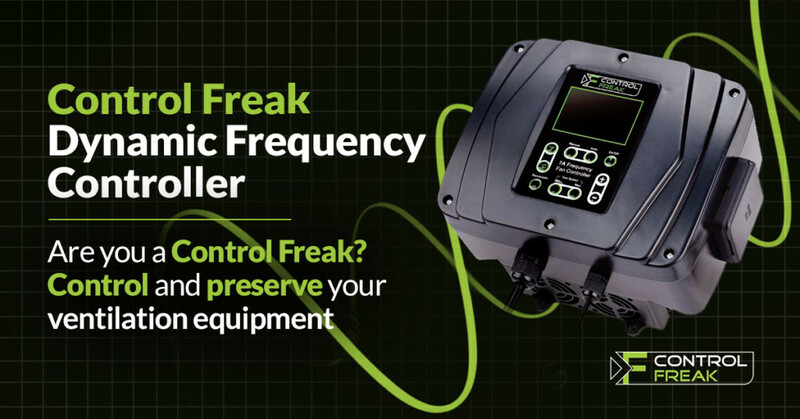 One of the first questions you should ask yourself is ‘is my lighting adequate to support the yields or returns I am expecting’. 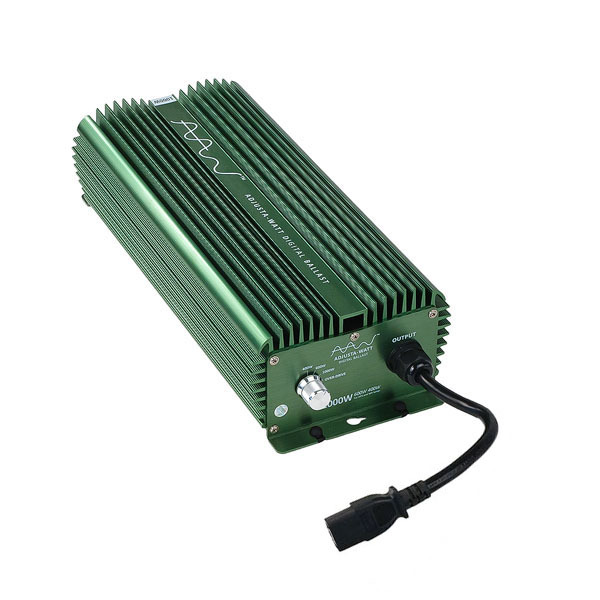 From propagation through the vegetative stage plants are then moved onto the High Intensity discharge lamps used for yield production of 400w, 600w and 1000w. 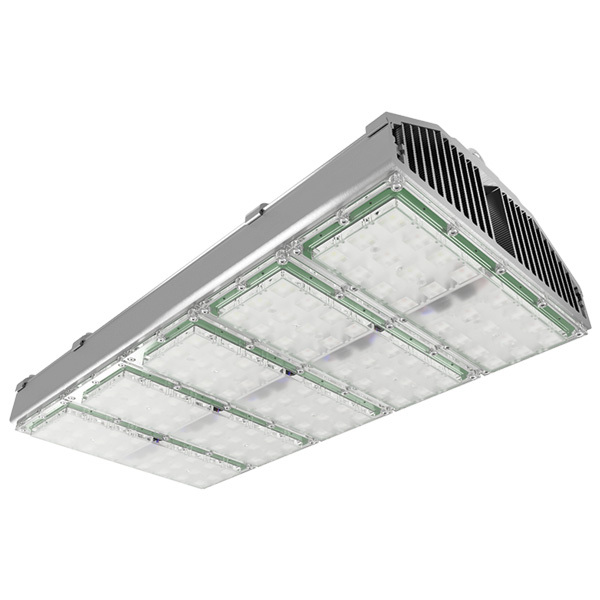 Typically 1x 600w lamp will cover a 1m2 floor space and provide lumen levels adequate for good plant production. 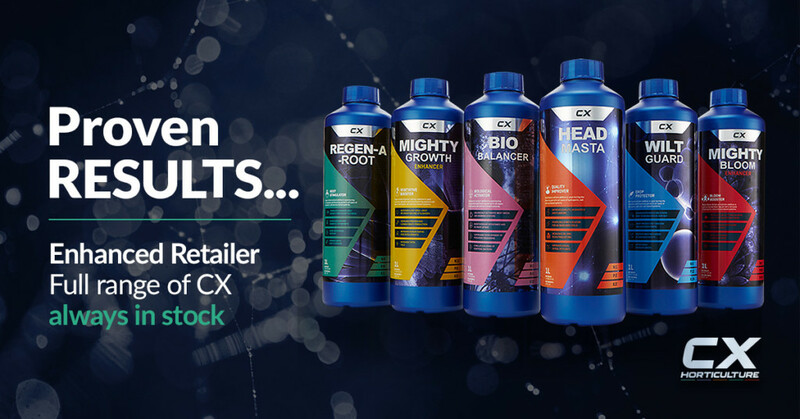 High intensity discharge lamps used for growing are typically High Pressure sodium (predominantly red end of the spectrum) and Metal Halide in the blue end of the spectrum. 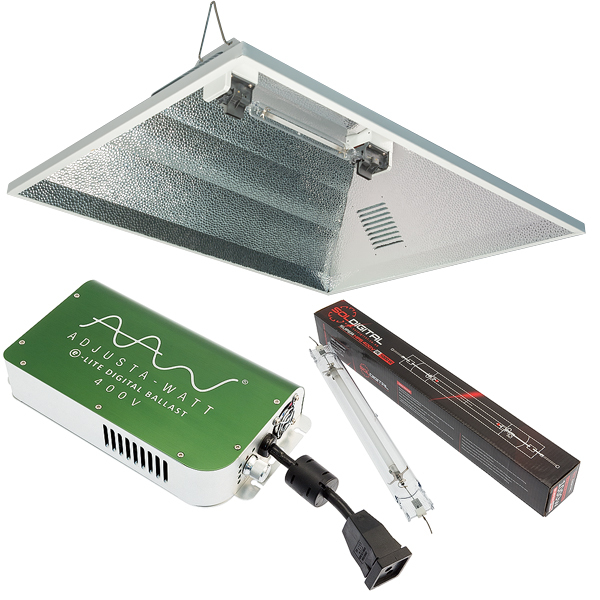 Metal Halide Lamps provide Photosynthetically Active Radiation (PAR) predominantly supply blue light, utilised for vegetative stage of growth. 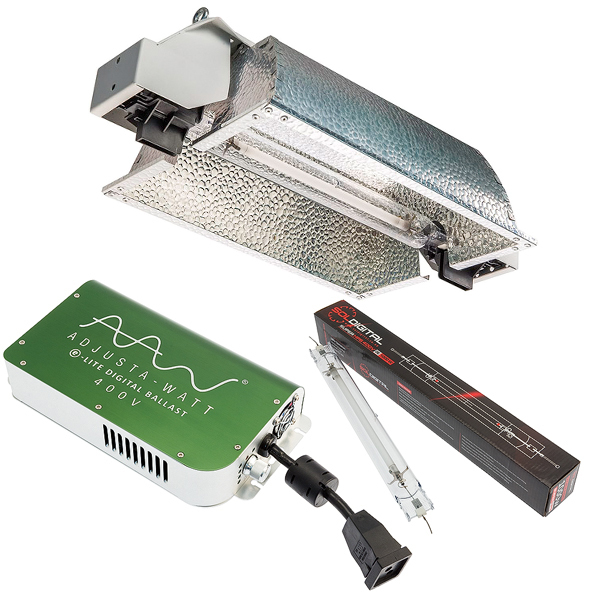 Metal halide lamps are also used in conjunction with High Pressure Sodium lamps to add more blue PAR in a ‘flowering room’. 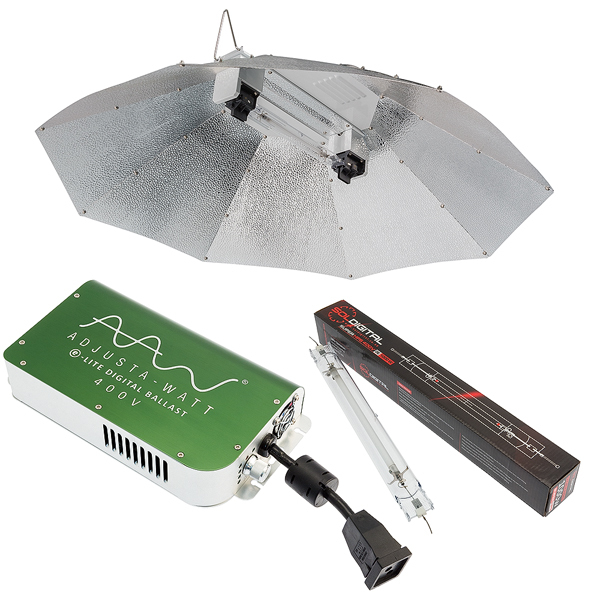 To encourage fruiting and flowering High Pressure Sodium lamps are used to supply PAR in the red end of the spectrum. 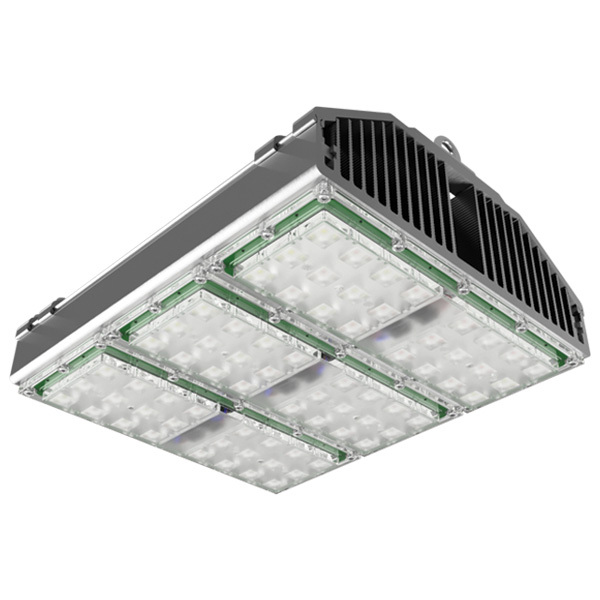 600w and 1000w lighting systems are the main powerhouses in any indoor grow room, however these are being challenged by LED technologies sure to be the future of Indoor Horticultural lighting. 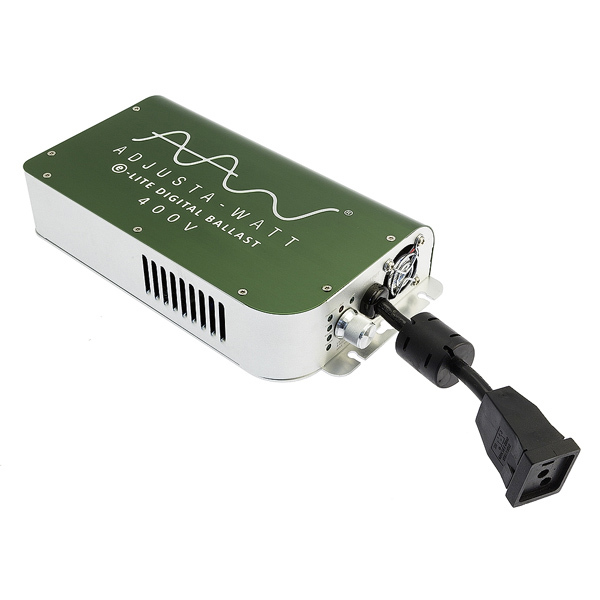 Not forgetting the recent addition of the excellent 315w Ceramic Metal Halide (CMH) (CDM). 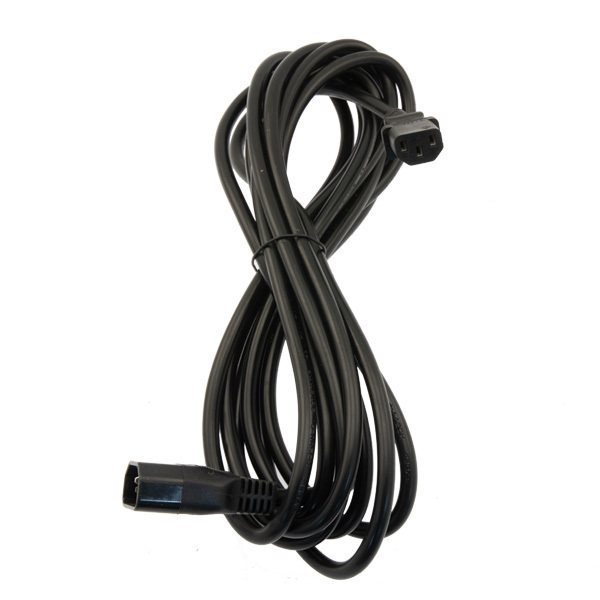 We supply all our light kits at quantity discounts as well as consumables like lamps, conscious of this continued expense for our customers. 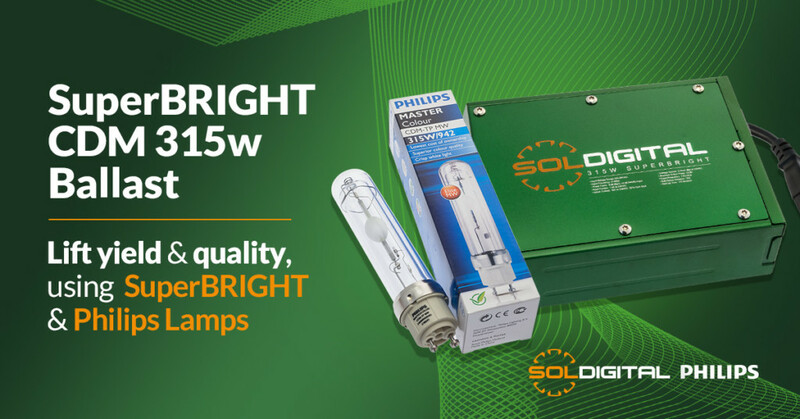 You will find all major lighting brands stocked from the ever popular Osram lamps, Phillips, Sylvania, Sunmaster and Sol Digital. 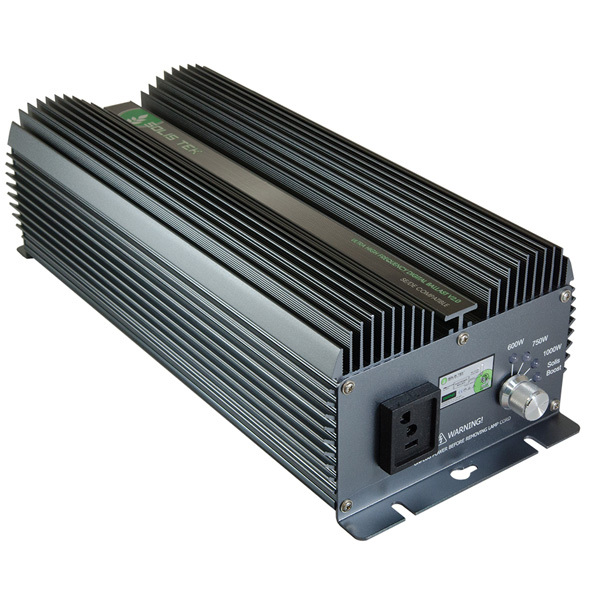 We supply each component separately whether it Ballasts, Lamps or reflectors. 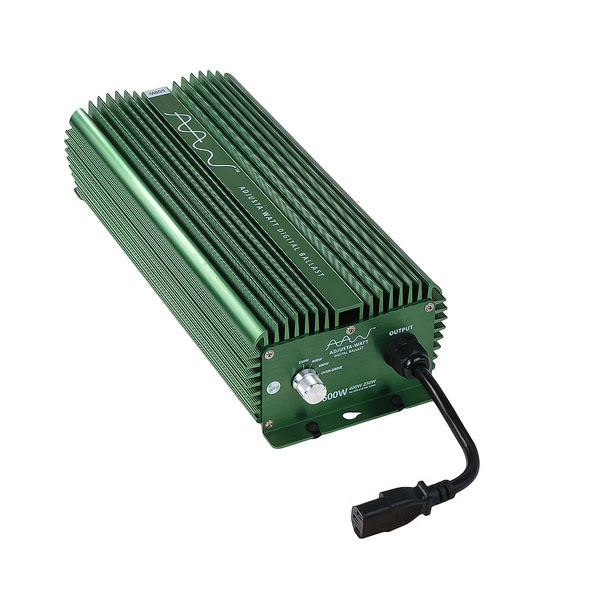 Our range of Ballasts include the excellent Adjusta Watt digital ballasts which allow you to adjust the output of the Lamp. 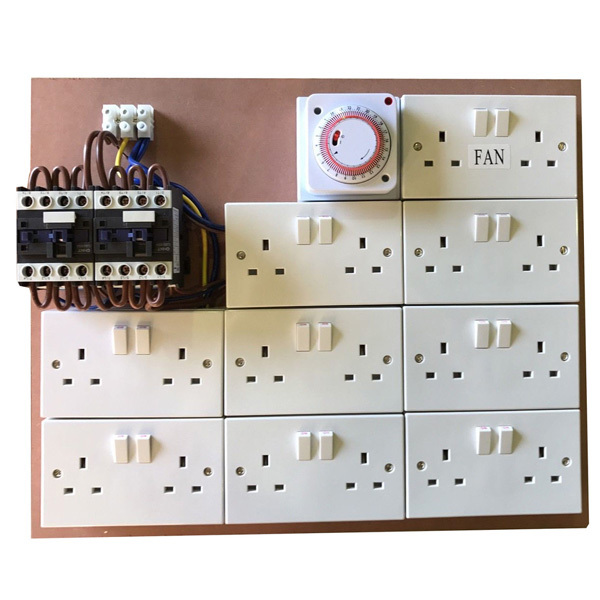 Our Lighting accessories includes light hangers, diffusers and of course contactors and timers to control your lighting systems.